I started sketchnoting about a year ago, and Mike Rohde‘s The Sketchnote Handbook is the resource that I wish I had when I started out. I highly recommend this book to anyone who is interested in incorporating more visuals into their note taking process. In this post I’ll explain why. First, some context. I am not a trained artist, just an avid learner who was looking for a way to process and remember cool ideas that I encountered in books, videos, and podcasts. 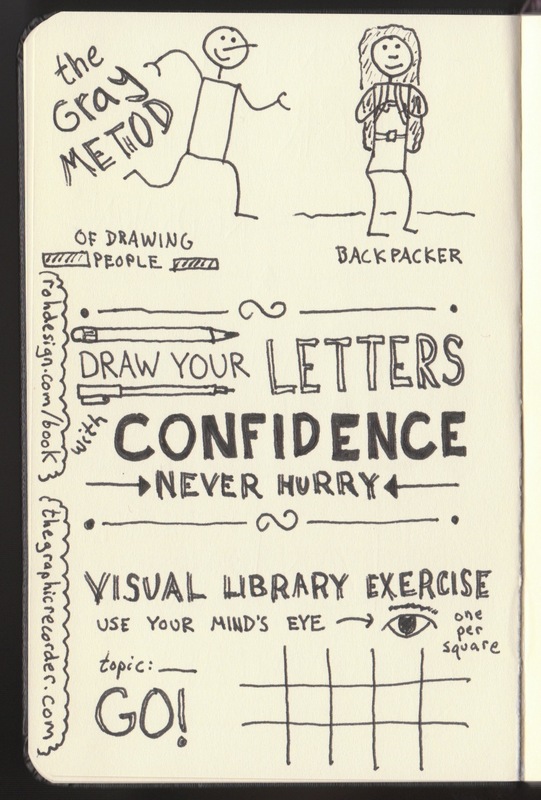 That’s what drew me into sketchnoting a year ago, and my enthusiasm has only grown since then. My biggest source of anxiety when I started out was the huge blank page in front of me and the ideas flying at me. So the most useful feature for me of The Sketchnote Handbook is the framework that it puts forth, which allows you to approach sketchnoting with some useful constraints. 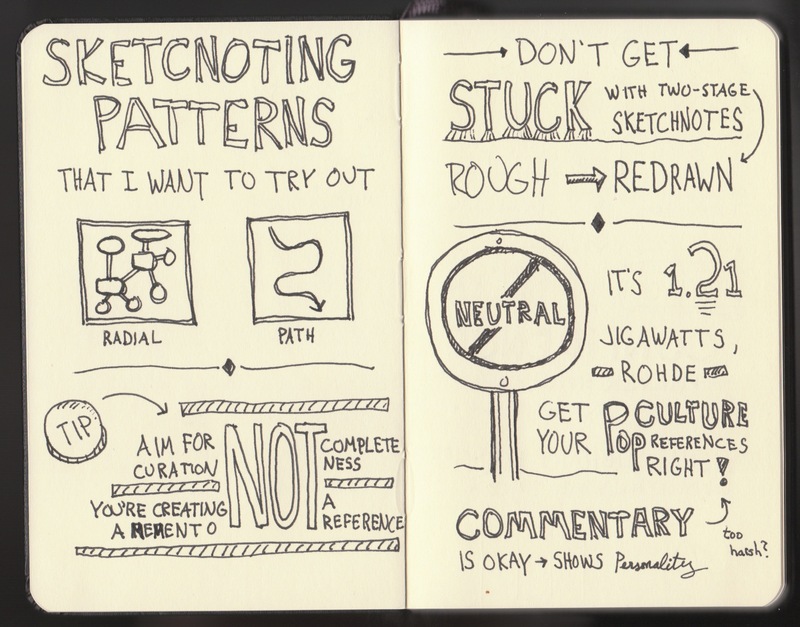 Rohde does an excellent job of explaining the benefits of a variety of sketchnoting patterns that you can use. He also discusses the issue of size. 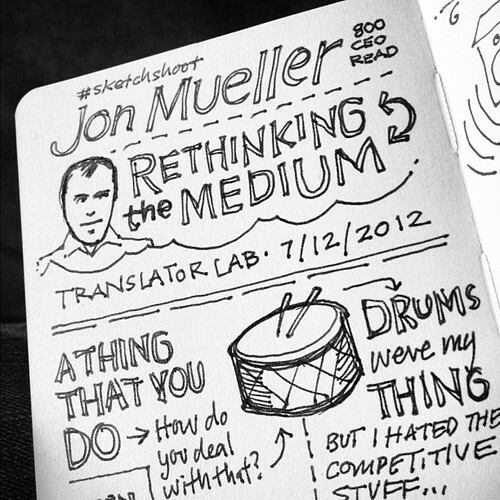 After lots of experimenting I have come to love the small moleskin notebooks that Rohde uses for his sketchnotes. In addition to developing particular approaches to taking sketchnotes, the book also provides a variety of exercises to help you build your skills so that you are more prepared and confident when doing the real thing. Throughout the text you get a great feel for Rohde’s style. The chapter titles themselves are an inspiration. This really is just one long sketchnote in book form, so you are exposed to so many sketchnoting elements not just in an isolated form, but in context as well. In addition to getting a feel for Rohde’s style, you also get to see many sample skethnotes from other artists. 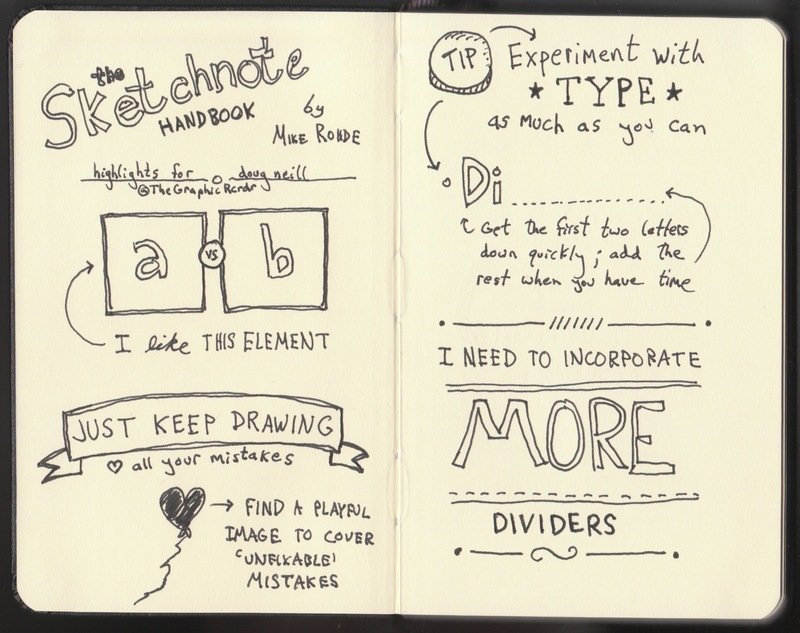 By examining those sample sketchnotes (which inclue their own tips and tricks) you can appreciate the variety of styles of sketchnoting out there, which gives you plenty of folks to emulate while also making it easier to be comfortable with your own style, no matter your level of experience or artistic ability. Another personal benefit for me was that this book gave me the confidence to move into more live sketchnoting. For a while I got stuck in either two-stage sketchnoting (rough draft then a final copy) or limiting myself to content that I could pause and take in at my own pace. But live sketchnoting is such a useful skill that I want to get better at, and by using the tools provided in this book I have already felt and seen my skills improving with each sketchnoting session. 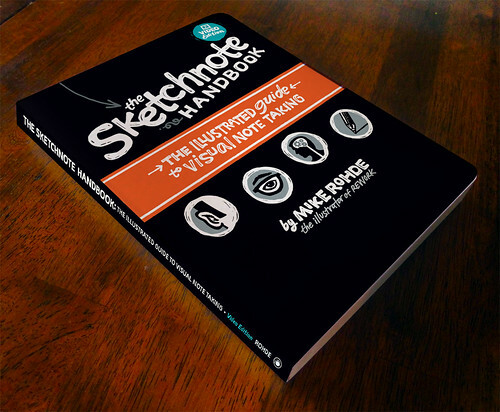 So as you can tell, I’m a big fan of The Sketchnote Handbook, and I recommend it wholeheartedly to anybody who wants to capture and remember information that they encounter in any facet of their life. To learn more about the book, and even download a free chapter, check out the book homepage. Or if you’re already convinced you’ll enjoy it, you can buy it here.